Now in its 10th year, the DC Jazz Festival has brought the world's best musicians to the nation's capital. Organizers have ambitious plans for this year's multi-day event, which begins this week. WASHINGTON — When you think of D.C.’s distinctive music, you think of go-go — that intoxicating blend of drums and congas made famous by city icon Chuck Brown in the 1970s. Yet in many ways, the District is really a jazz town: Venues such as Bohemian Caverns and Blues Alley played host to national musicians such as John Coltrane and Miles Davis, and D.C.’s homegrown pioneers include Duke Ellington, Roberta Flack and Marvin Gaye. So it’s no surprise that the organizers of this year’s D.C. Jazz Festival would pull out all the stops. It’s the event’s 10th anniversary and a nostalgic commemoration of D.C.’s jazz roots. “We have such phenomenal artists coming here from all over the world, so it’s really a celebration,” says Sunny Sumter, the D.C. Jazz Festival’s executive director. This year’s festival began Tuesday with a series of prelude events throughout the city, with performances by The Malcolm Stokes Quartet, saxophonist Marshall Keys and pianist Kayla Waters. Beginning this week, Grammy-nominated acts such as Snarky Puppy, Gregory Porter and Trombone Shorty will take stages at the Howard Theatre, Yards Park and The Hamilton Live. Music lover Charles Fishman launched the jazz festival in 2005 after realizing that the city didn’t have a dedicated annual celebration. As he saw it, every major city in the world had its own festival and D.C. — with its rich musical history — needed one. Fishman — who was Dizzy Gillespie’s personal manager — used his personal and professional connections to establish the D.C. Jazz Festival. He’s still the president of the festival, but it now features 125 performances in nearly 60 venues. Organizers have reconfigured the festival to include year-round educational programs and community outreach. 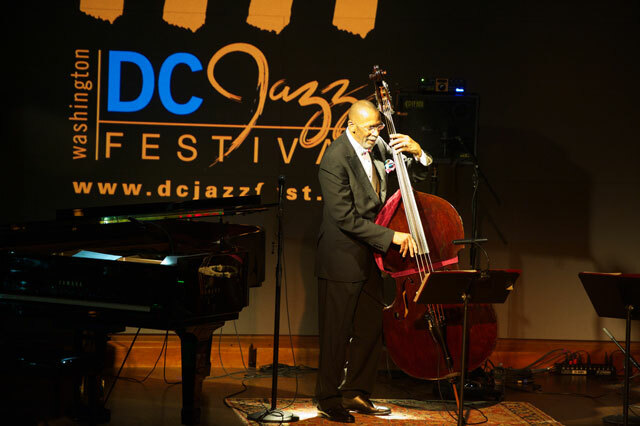 That, organizers say, helps establish a younger swath of jazz fans in D.C. and its suburbs. In years past, keyboardist Robert Glasper, trumpeter Roy Hargrove and harmonica player Frederic Yonnet have performed at the Jazz Festival. Hargrove and Yonnet perform again this year. Yonnet, originally from Normandy, France, specializes in a unique blend of jazz, hip-hop and soul. It’s a tough-to- describe concoction of urban music that he’s performed live with Stevie Wonder, Prince and Erykah Badu among many others. The D.C. Jazz Festival runs through June 29. Visit the event’s website for ticket info.